Kerafol has authored a new guide for managing thermal issues when designing driver electronics for LED applications. LEDs are being used in more and more ways. Due to their brightness, high efficiency and long life expectancy, they continue to conquer domains that only recently were reserved for traditional light sources. This means that driver electronics must be adapted to an ever-increasing number of applications. 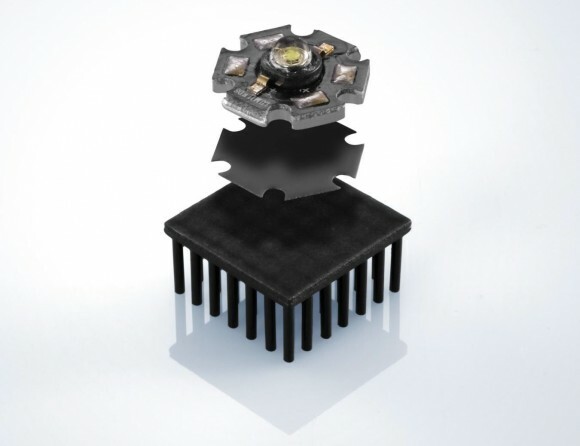 When designing LED driver electronics, several points must be considered. One important point is the active components’ power loss. The semiconductors’ TJ should stay far below the maximum value shown on the datasheet. The life of semiconductors is mainly influenced by the height of the developing temperature. This means that a heat analysis is absolutely necessary.